Trent Alexander-Arnold is hopeful of regaining full fitness in the next few weeks as he looks to regain his place in Liverpool's starting XI. The England and Liverpool right-back came off the bench in Saturday's 3-0 win over Bournemouth, in his first appearance since suffering a knee injury against Brighton on January 12. Alexander-Arnold is currently in Marbella for Liverpool's warm-weather training camp as he steps up his recovery. "I feel good; it was good to get a bit of fitness in there at the weekend and that'll help me get back to full fitness and to push on and hopefully start a few games in the next few weeks," the 20-year-old told Liverpool's official website. "It was something I've never really experienced before in being injured. "It was something new and something to get my head around, so it was tough to me. But it's thanks to the manager, the physios and the medical department in helping me get back so quickly - ahead of schedule." 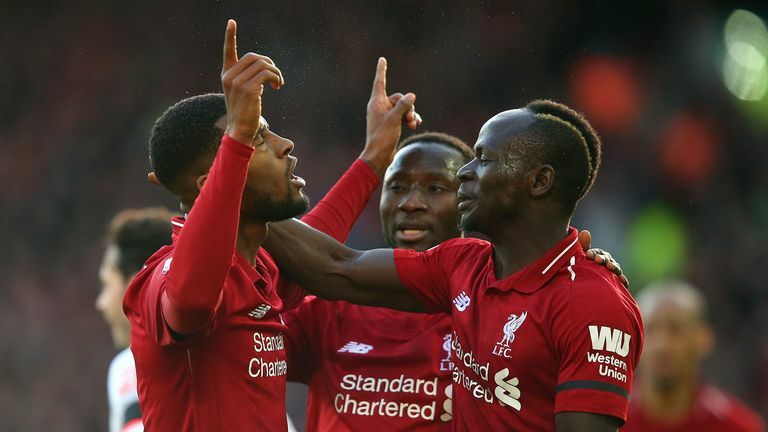 In his absence, Liverpool dropped points against West Ham and Leicester in 1-1 draws, allowing title rivals Manchester City to overtake them in the Premier League, although the Merseyside club have a game in hand. "It was difficult because you feel like you've got no control at all, whereas when you're on the pitch, you have a little bit the sense of being able to influence the game, impact the game in some way," he added. "It was difficult for me knowing I wasn't going to be able to influence the games at all, but I was there and trying to support the lads as well as I could. "We didn't get the results we wanted, but we remained undefeated and bounced back at the weekend with three points." Liverpool have confirmed James Milner and Fabinho have now resumed full training alongside their team-mates in Marbella. Fabinho had missed the first training session in Spain after suffering a minor muscle complaint, while Milner took part in separate session away from the rest of the squad following an illness.